If you watched the Super Bowl, you probably took note of the evocative and star-studded 60-second Jeep commercial during the half time break. If you watched the Super Bowl, you probably took note of the evocative and star-studded 60-second Jeep commercial during the half time break featuring Steve McQueen, Marilyn Monroe, Jeff Goldblum and the dinosaurs from Jurassic World. The Terminator even made an appearance. In addition to these more recognized figures, the commercial featured 60 portraits in total of other famous and ordinary people who helped shape Jeep’s 75 year history in addition to different Jeep models throughout its history. 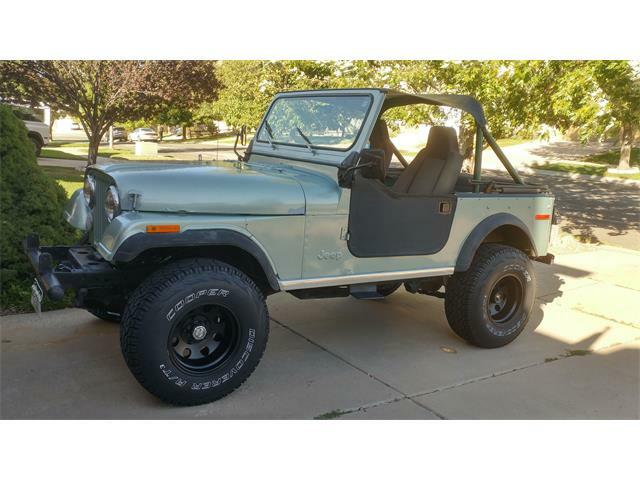 The Pick of the Day, a 1983 Jeep CJ7, listed on ClassicCars.com, retains the original Jeep styling with a few upgrades, giving it performance and style with a touch of classic nostalgia, much like the Super Bowl ad. 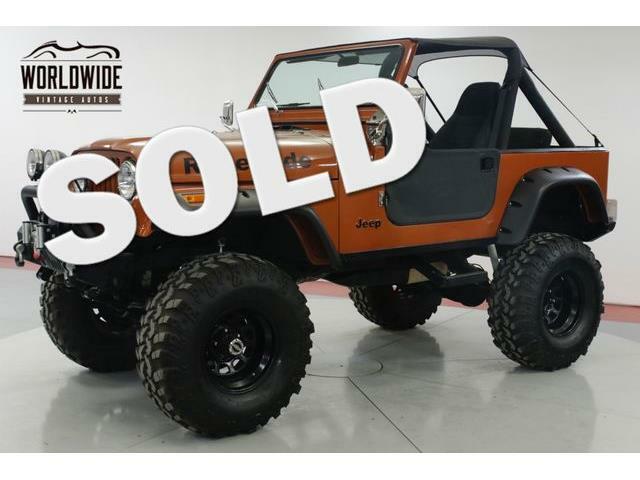 At present, classic Jeeps are holding their value exceptionally well and have become popular collectable vehicles, with more and more buyers picking them up and discovering how fun off-road exploration can be. 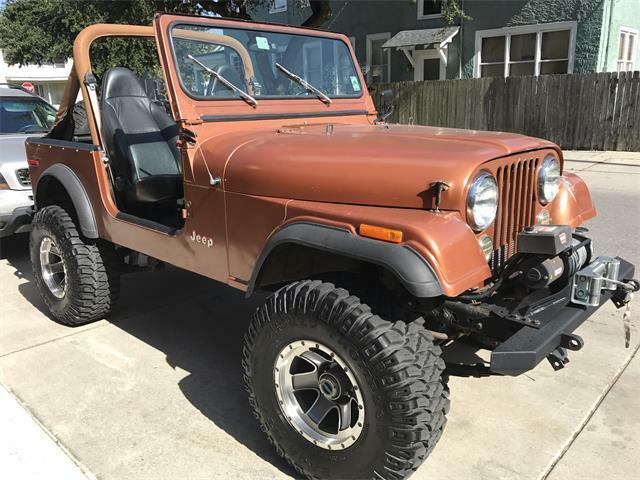 With so many Jeeps being used as intended back when they were new, there are few left with clean straight lines such as this one. 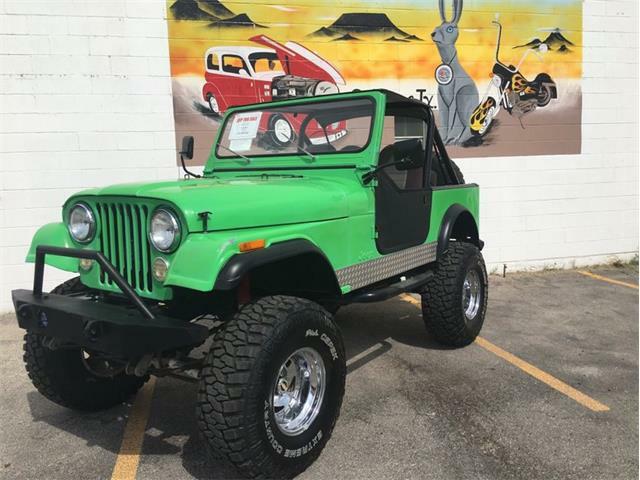 According to the listing, this CJ7 was freshened two years ago and given the right upgrades to make it fun to drive and great to look at. 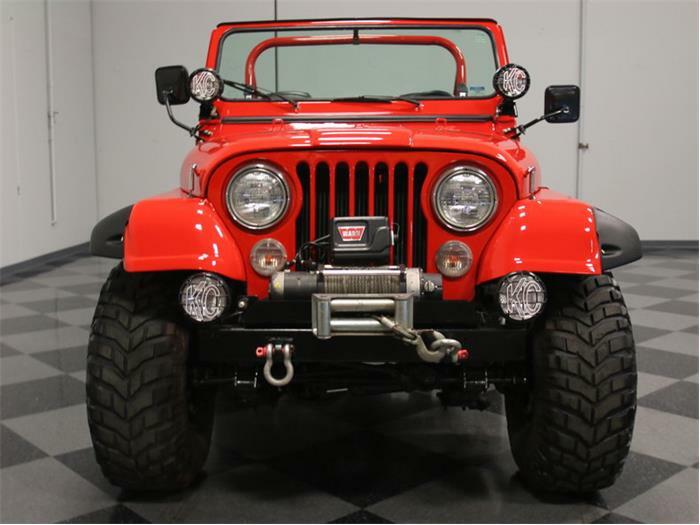 Giving the Jeep an aggressive look is bright Viper Red paint complete with oversized black fender flares and a big winch up front, which adds to the go-anywhere capabilities. 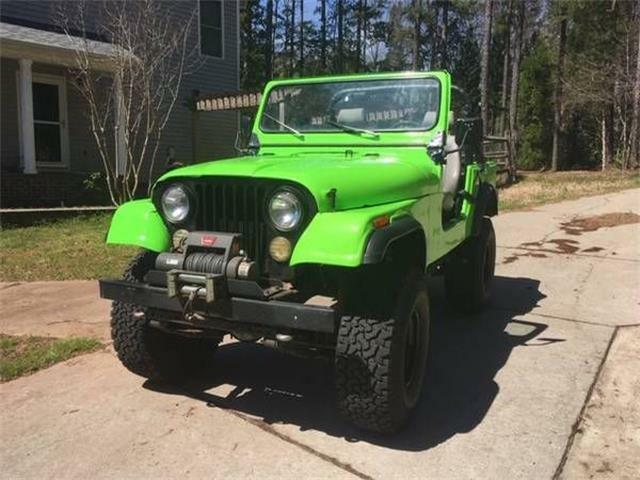 Some Jeep owners go a little overboard with additional spotlights and light bars, but this Jeep has a tasteful set of KC lights on the windshield posts and tubular step bumpers, tow hooks all around, and a beefy spare tire rack big enough to carry one of those Mickey Thompson tires without effort. 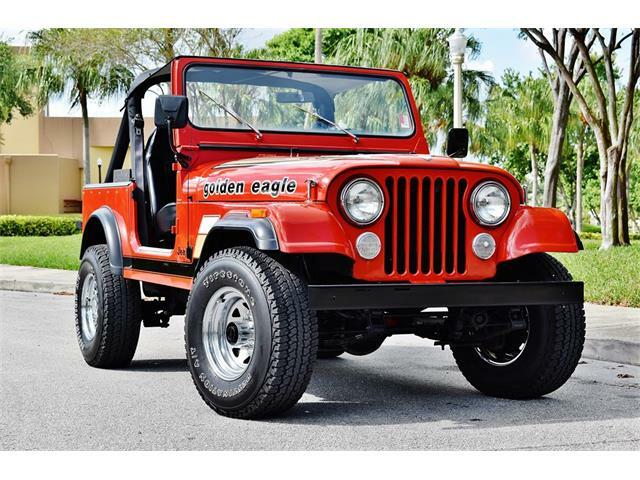 According to the listing, the interior is not stock, but it is functional. 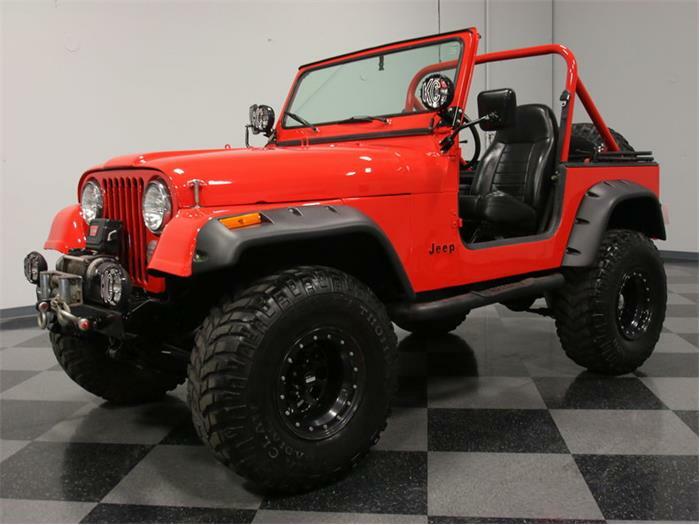 It features high-back bucket seats, and the floor has a coat of heavy-duty spray-in bedliner. The listing states that the bedliner wasn’t just sprayed, but each part was disassembled, taped and reassembled. There’s also a center console and a set of weatherproof speakers under the dash. 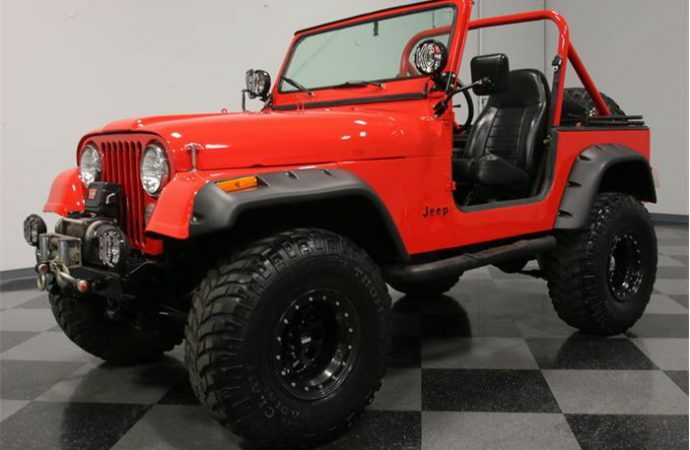 Notice that the rear seat was replaced with a heavy-duty tool box, effectively making the Jeep a two-seater. 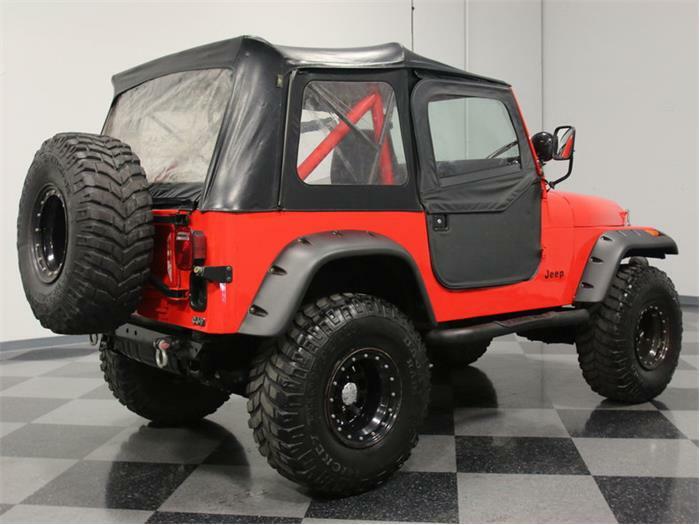 The Jeep comes with a full top and doors. Under the hood is a Promar 258-cubic-inch inline-six. The listing says it was not built for all-out horsepower but for low-end torque that makes it ideal for crawling over the rough stuff. The engine compartment received as much detail as the rest of the Jeep, via well-chosen dress-up bits. Highlights include a Holley Truck Avenger carburetor, custom wiring harness and a DUI ignition system to light it up. 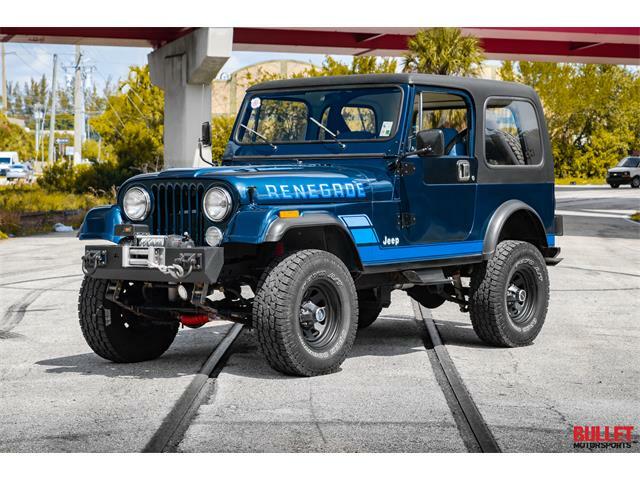 The listing says the 5-speed manual transmission is linked to a Dana 300 transfer case, and the axles are a Dana 30 with a TruTrac limited slip up front and a trussed AMC 20 rear end with a Detroit Locker, all spinning 4.56 gears. 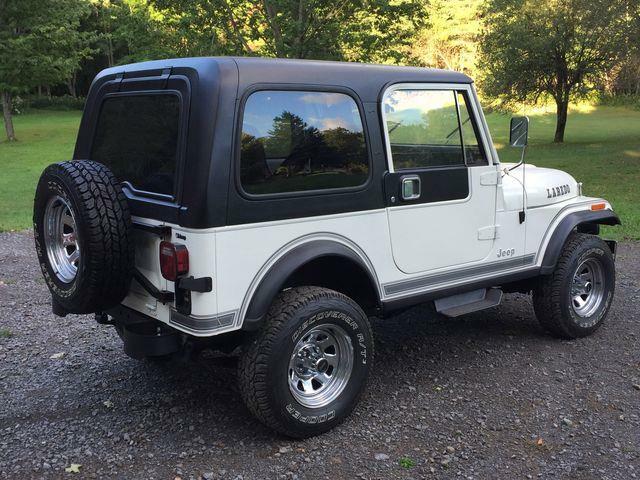 A Rancho suspension system includes new shocks and a steering stabilizer, plus a set of JKS sway bar disconnects. Big 35×12.5-15 Mickey Thompson Baja Claw tires give this Jeep the perfect off-road stance and should provide plenty of traction. 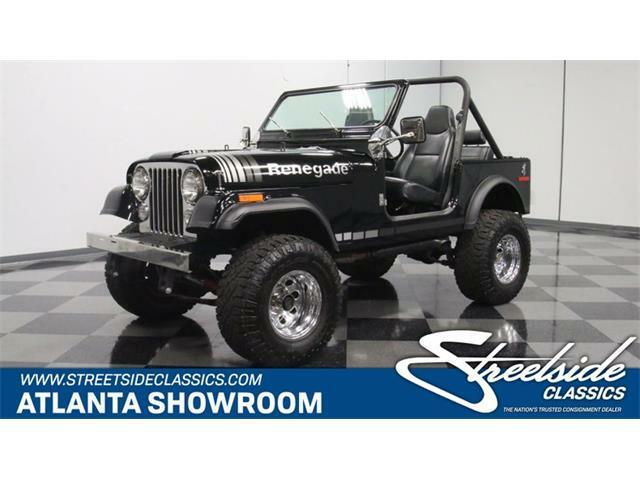 The Jeep CJ7 is offered for $25,995 by a dealer in Lithia Springs, Georgia.